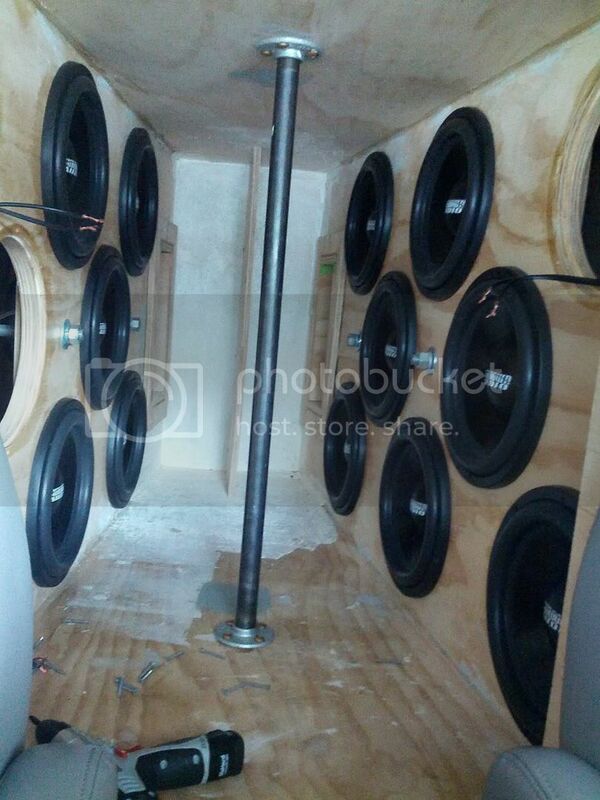 These subs are in in MINT condition. Only way you can tell they've been mounted is a little scrub on the holes in gasket. They have never seen more than 200 watts a piece. i had 1 saz3500 on all 16. The subs aren't even close to being broken in yet. I bought them all brand new in september of last year. 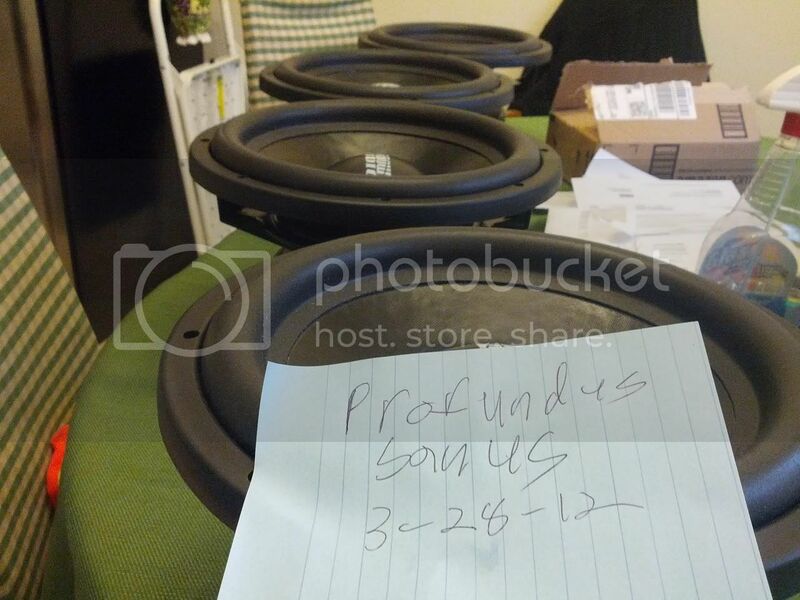 trades, pioneer 80prs h/u, xs Power d1400, pair of beefy 15's, 2000wrms amp(s). Last edited by profundus-sanus; 05-07-2012 at 10:51 AM. how are these for lows? and how much Power can one take on a regular basis? so 1 12 on a hifonics brz 1200 would be decently loud and have sq but most importanty lows??? 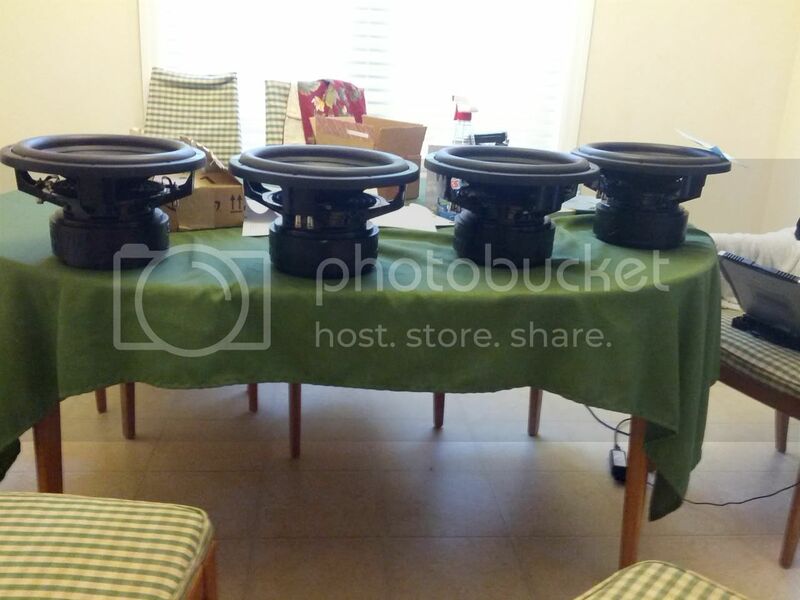 whats the voice coil? d2 or d4? the brz1200 would do pretty well on 1 of them @ 2 ohms. they will beat a type r... dunno bout it beating your 15 inch mojo... The sa is one of the best subs under 200.
it'll beat a type-r and the m5 all around. not sure about a mojo though, but the mojo is at least twice the price. Bump for pro. And to echo what has already been said, these are probably the best under $200 woofers out there. Just look at how stout they are. That's not a bunch of plastic crap hanging off them. That's a mean assed motor that means business. If I wasn't dead set on getting the SA-8V2s, I probably would have snatched up a pair of these right now. That's a great price for a really capable woofer. You got me at a very bad time. just moved into a new place and dead broke lol, hopefully you still have a pair by the time I can get em. what is the smallest ported box two of these could go in and still sound good and pound? I would say 3 cubes shared. and in a hatch yes... probably not in a trunk. im gonna get my dimensions right now......hold on ill be right back!! ok so i dont know the proper way to list dimensions so here goes. those are approx as i am not good with math or dimensions. but i think that the max in space i wanna use. 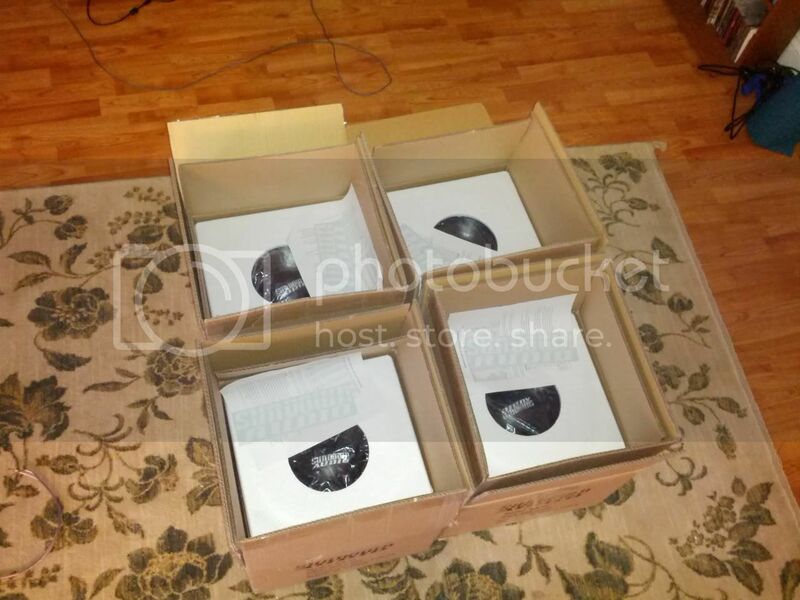 i posted te dimensions here too cuz i wanna know if a box of that size would be good or ok for 2 sa12s? Thats 7 cubic feet gross... you had plenty of space for your mojo. I would do either 2 12s or 1 15. With port you still have plenty of room. keeping 9 of them, 2 are pending to burkem_10, and 4 are pending locally. big stell, you should buy the last sub. realistically you could easily fit a single 12. If you can't fit the 15 then fitting 2 12s probably wont work either. well not without giving up a lot of your trunk space. You wanted to hit lows on the cheap. that's what these subs do well. get this last sub off pros hands. I agree, my single SA-12 @ 35 hz sounded great and got pretty low. Lower tuning and a SA-12 would kill the lows. ok 2 last questions and then ill make a decison. 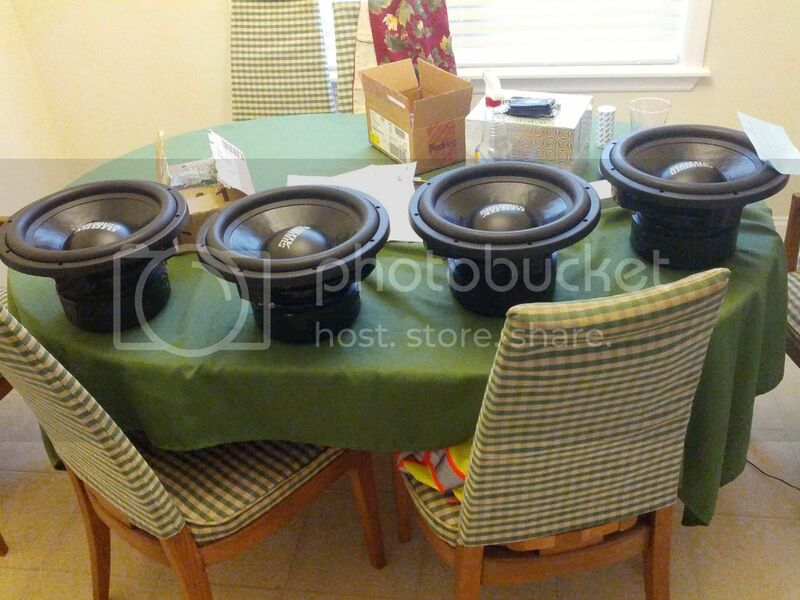 2. how much louder would 2 10's be compared to the 1 12?